Saskatoon, Sask. 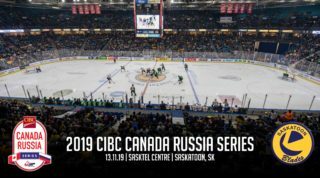 — The Saskatoon Blades will be without forward Kristian Roykas-Marthinsen for the next six games as the Norwegian winger will be departing for Germany on Monday to represent his home country of Norway in the 2019 IIHF World Junior Division I Championships. The Division I Group A tournament features six teams competing for a berth in the top division. The six teams include Norway, France, Belarus, Germany, Austria, and Latvia. 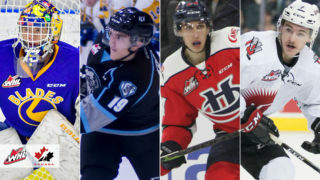 A prospect of the Washington Capitals after being selected in the 2017 NHL Entry Draft, Roykas-Marthinsen joined the Blades after being picked in the 2018 CHL import draft. 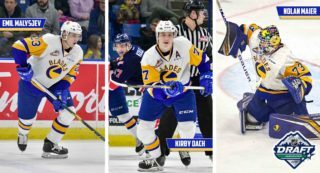 Roykas-Marthinsen has appeared in all 29 games for the Blades this season, scoring 8 goals and 15 points in the process. The 19-year-old winger has especially found his game as of late with 6 points in his last 7 games. Kristian will join Team Norway for the Division I tournament in Fussen, Germany, which runs from December 9th – 15th . 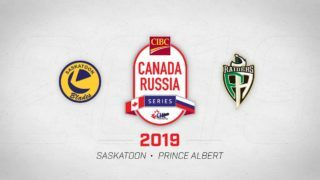 Roykas-Marthinsen is expected to return to Saskatoon after the holiday break when the Blades open the second half of the season at SaskTel Centre on December 27th at 7:00pm against the Prince Albert Raiders. 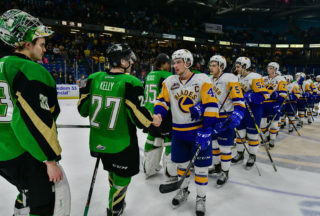 Next home action for the Blades is Friday, December 7th, when the Moose Jaw Warriors visit SaskTel Centre.